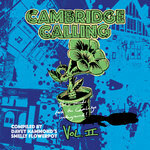 A second choice of tracks showcasing the diversity of the Cambridge music scene, DJ Dave Hammond has again aimed for quality, variety and surprises. The proceeds from this release go to the Cambridgeshire Alliance for Independent Living, a charity run by and for people with disabilities. 1. Beverley Kills – Sticks And Stones Great entertainment vibe with an intro straight from the punk of 77, you wish you were up on stage with them. Clever change of tempo part way through to keep you focussed. 2. Sound Menagerie – House Of Yesterdays Recent album title track of sixties spookiness from dreamy psychedelic revivalists. There is no-one else in the city quite like them. 3. Perfect Machine – Lost In The City A childhood nightmare of paranoia set to an electronic 1920s Berlin style soundtrack, the first entry on the collection from a multi-persona muso. 4. Searching Grey – I Accomplished melodic rock, adventurous drumming, soaring vocals and guitar solo too. 5. Izi Phoenix – Fears Gentle tune with warm vocal and lovely sparse guitar work. 6. James White – Take Me Home Solid boogie-blues with a brass section, much soloing and an as-live sound. 7. 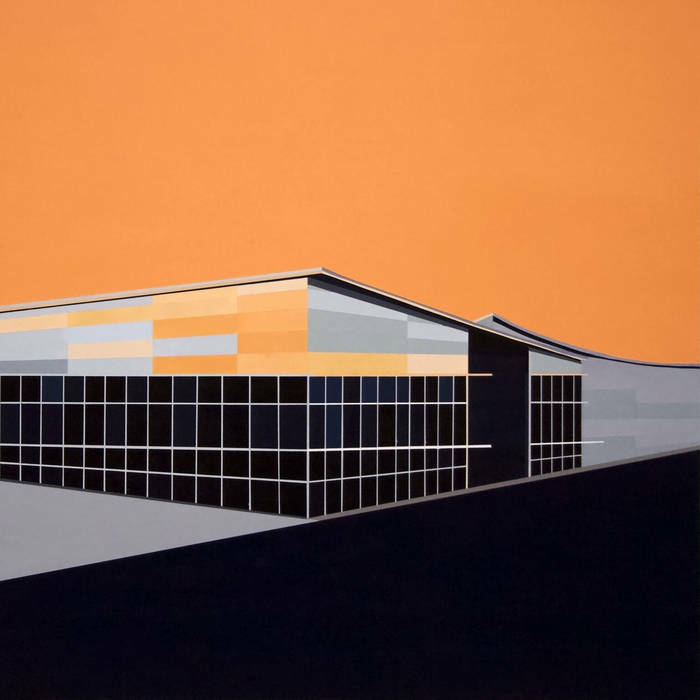 The Sound Of Pop Art – Freedom Sultry groove of jazz-rock with recurring ringing guitar motif. Smooth! 8. Psychic Lemon – Death Cult Blues Much reviewed on this site, the Lemon’s tracks always have something different to reveal on repeated listens to the complex, fiery fuzz. 9. Shyer – Bad Company Another favourite on this site, here with a brooding, intense piece driven by dark guitar and a great vocal performance from Amanda George. 10. Louis Perritt and Maverick – You Gotta be Strong Wow. I didn’t expect this; it is an epic, orchestral sounding mid-tempo stormer with Rick Wakeman style piano and a yearning vocal line. 11. Farlanders – Come Back Home A mellow, comfortable groove, all a bit retro celtic folk with the title phrase reflected in the lyric and the music. 12. Saving Scarlett – Hourglass A guitar fanfare heralds an in-your-face beefy rocker, a taster for their forthcoming debut album. 13. Nero’s Thumb – It Said Down and dirty with sampled preacher vocal, guitar riff never goes away. 14. Ricky Boom Boom and Tom Colborn – Eyes Of Strangers Characterful blues from tireless live performer, with of course a sad lyric, punctuated by the earthy slide of the second guitar. 15. Tape Runs Out – Red Vines Hear the unique instrumental line-up of this experimental ensemble, haunting and involving voice too. 16. Luna Falls – Falling To Pieces Superb songwriting on this deceptively simple arrangement, with three acoustic guitars and three-part harmonies. Great chorus line, the whole effect is pure magic. 17. The Abstracts – Aquarius Rising This band is a prominent fixture on the Cambridge scene, each of the musical elements of the players gel together here in a masterly rock anthem, featuring an impassioned vocal. 18. For The Hornets – I Believe Tight, minimalist power with great riff and drum bursts from this energetic three-piece. 19. Transoceanic – If You Look Up At The Sky At Night 13 minutes of ambient drifting, electric-ish piano and synthetic harp blending into some sort of cosmic music-box. Another excellent choice, I look forward to Volume 3…. This entry was posted in Music and tagged Cambridge, Cambridge Calling, compilation, Dave Hammond, German Shepherd, review, Volume 2 on October 25, 2017 by iknoweno. End of year sampler CD from Brighton based record label Fat Cat Records…. 1. Traams ‘Selma’ Good opener, punchy drumming, spiky guitar and forlorn vocal giving way to a singalong chorus. The lyric is a bit deranged, the sound a bit retro and all over too quickly. 4. Paws ‘Owl Talons Clenching My Heart’ A great title from this Glasgow trio and another difficult relationship in the lyrics. Super-low thumping bass and fuzzy distorted vocal with a frequent chorus line packs a strong punch. It reminds me of The Wytches, another dark but sensitive trio. 5. The Twilight Sad ‘There’s a Girl in the Corner’ Formed in 2003 and described by one reviewer as ‘perennially unhappy Scottish indie band’ this is another tale of love gone wrong, with the repeated phrase ‘she’s not coming back’ over layers of stadium keyboards and booming drums. Quite addictive in an unrelenting way. 6. C Duncan ‘Silence and Air’ New Scottish talent Chris Duncan with a meld of vocal and distant choral effects over a soothing multi-layered instrumental background. 7. Vashti Bunyan ‘Across the Water’ Recording her first album in 1970, influential folk legend Vashti Bunyan restarted her music career 35 years later. This new release from her 2014 album Heartleap is a lovely song. Gentle acoustic guitar, flute sounds and strings float by, blended with her ethereal voice, taking the listener to another place and time. 8. Tlaotlon ‘Myriade’ A contrast to what has come before, this is frenetic electronica samples and loops. A challenging listen, any logical patterns or structure dismantled as quickly as they arrive. 9. Gentle Friendly ‘Shake Up’. Not sure about this one, some electronic drones, drums and vocal from this London-based duo. Claustrophobic and a bit relentless, I may have to listen to a few more of their recordings. 11. We Were Promised Jetpacks ‘Safety in Numbers’. Nostalgic band name, sound and song. So many influences here, it starts with a pure voice and keyboard weaving around then bursts into life with a big Indie rock flourish, well honed since their debut album in 2009. This entry was posted in Music and tagged Brighton, Cambridge, compilation, Fat cat records, Fatcat, Honeyblood, label, review, sampler, Vashti Bunyan on December 3, 2014 by iknoweno.